An expert wine tester shook a glass of Prosecco during a wine testing at the Case Paolin farm, in Volpago del Montello, Italy. 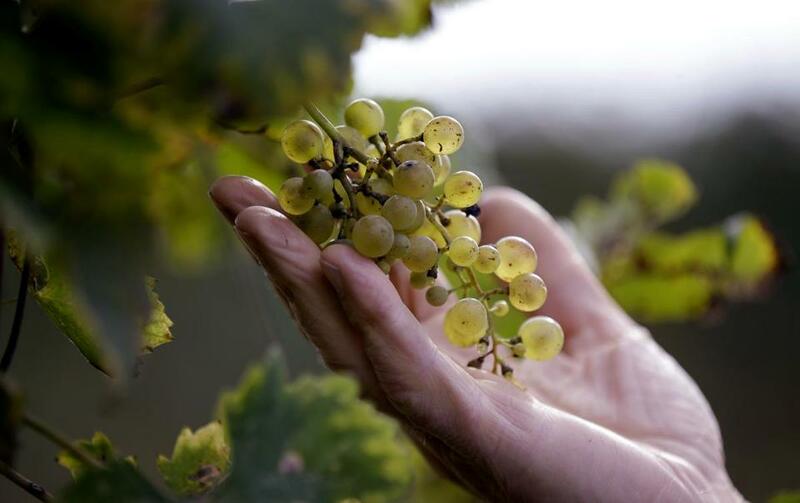 ASOLO, Italy — Prosecco, the fruity sparkling wine made in the northeastern hills of Italy, is gaining in global popularity — and producers of champagne, for so long the dominant bubbly wine, are taking note. 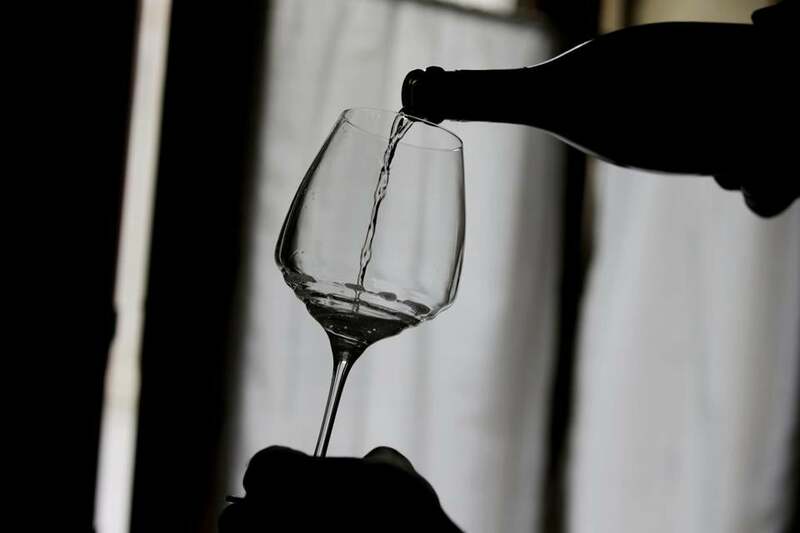 Prosecco has become the best-selling sparkling wine in the world by volume, and experts say it is eroding the market share of champagne, the French wine that is synonymous with celebration but also comes with a heftier price tag. The Italian wine’s production eclipsed champagne’s five years ago and is now 75 percent higher at 544 million bottles. Champagne still claims the revenues crown, cashing in a record 4.9 billion euros ($5.6 billion) last year on 307 million bottles, 2.8 billion euros of that in exports. But prosecco’s bubble shows no sign of bursting: exports this year are trending up 16 percent over last year’s 804 million-euro ($913 million) high. Adding insult to injury, sales are surging 40 percent in champagne’s home country, France, according to one estimate. And those figures don’t reflect the seasonal Christmas sales bump of 20 percent. Michael Edwards, an expert who has been a wine judge for Decanter magazine and wrote the book ‘‘The Finest Wines of Champagne,’’ says consumers are increasingly interested in sparkling wines. ‘‘Prosecco capitalizes on the desire to drink sparkling wine, not necessarily champagne,’’ he says. A sommelier opened prosecco bottles during a wine testing in Asolo, Italy. The Italian bubbly’s success is attributed to its lower price and its profile as an anytime libation, making it popular in Great Britain, the United States and Germany, markets where champagne has long flourished. Jowin Lepper Carberry, a consultant for a medical devices company in Baltimore, Maryland, tried prosecco at the beach four years ago, and liked it so much she started making frozen smoothies with it for friends at her pool. She moved on to making cocktails for dinner parties and has used prosecco instead of champagne for the past four New Year’s Eves. ‘‘My initial reason for trying it at the beach is because it was less expensive than champagne. Now I use it because I prefer it to champagne,’’ she said. With an average production cost of 3.70 euros ($4.20) per bottle, a fraction of champagne’s average 10.24 euros ($11.63), prosecco can be purchased at a price that makes it easier to buy as an after-work drink or for a casual gathering, without pomp and circumstance. 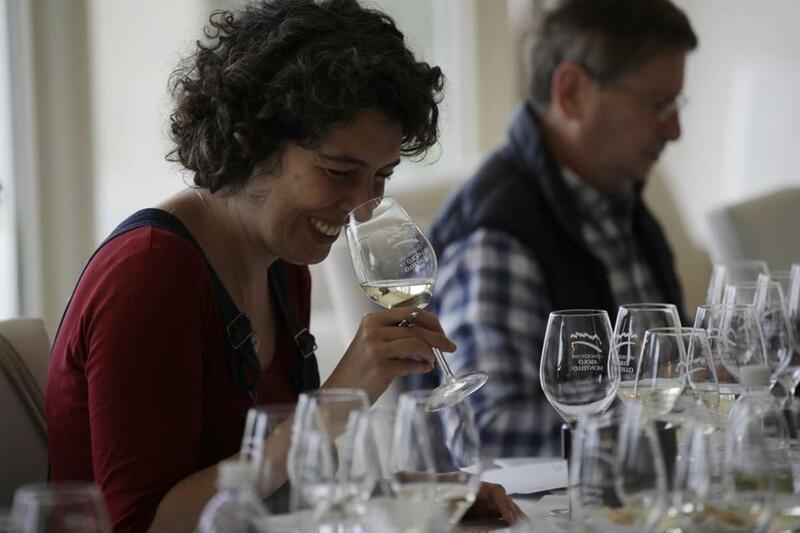 An expert wine tester smiled as she tasted a glass of prosecco during a wine testing in Asolo, Italy. The lower price is in part made possible by a simpler production method. It has two processes of fermentation, both in large tanks, whereas champagne’s second fermentation period is done while the wine is bottled. That requires storing the champagne bottles at an angle and turning them slightly every day by hand to help the fermentation — expensive manual labor when done over thousands of bottles. Prosecco producers themselves are taken aback by their wine’s success, and mindful not to squander it. 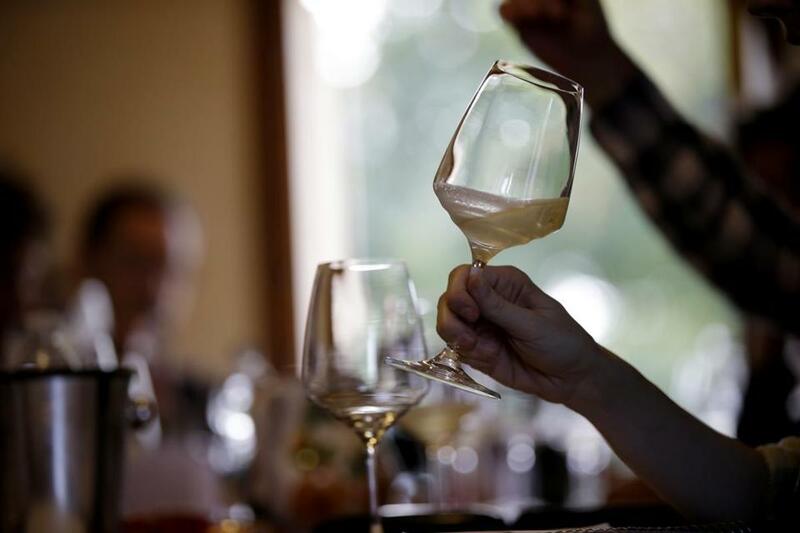 They are up against not only imitators, but also other sparkling wines, like Spain’s Cava, which still does not rival prosecco in terms of global sales, and Germany’s Sekt, which experts say has improved in quality. Wine grower Adelino Pizzobon checked a bunch of grapes in a prosecco vineyard at the Case Paolin farm, in Volpago del Montello, Italy. Prosecco’s growing popularity, and the proliferation of sparkling wines in general fueled by younger drinkers, is forcing champagne makers to up their game. ‘‘The quality of champagne at the moment has never been higher because it has to be. The danger is the competition, so it has to be better,’’ said Edwards. At the same time, the three consortiums that make prosecco have taken some hints from the champagne playbook. They successfully lobbied to have prosecco as a brand with protected status switched from the grape once known as prosecco, and now Glera, to a hilly territory in northeastern Italy. It is based around the city of Treviso and encompasses five provinces in the wider Veneto region and four in neighboring Friuli Venezia Giulia, right up to the Slovenian border. That change, made in 2009, has helped producers better control quality and fight against counterfeiters. Wine grower Adelino Pizzobon inspected a prosecco vineyard at the Case Paolin farm, in Volpago del Montello, Italy. The most renowned of the three consortiums, Conegliano Valdobbiadene, is trying to get the territory recognized by UNESCO as a world heritage site, a label that experience in other regions shows boosts both tourism and the value of the product. Champagne received its UNESCO status in 2015. Prosecco makers are betting future success on higher quality, and higher-priced vintages. The best Valdobbiadene can cost up to 30 euros ($34). Sebastiano Bonomo, export manager at the Giusti Dal Col winery near Treviso, said he can imagine one day high-end restaurants keeping a prosecco list, like they do for champagne, based on geographic denominations and zones. ‘‘That is the plan we should go for, being able to bring knowledge about our territory, just like the knowledge off champagne was spread to the entire world,’’ Bonomo said. Asolo is the smallest of the three consortia making prosecco, but it has expanded its vineyards by 86 percent from 2011 to 2017. That has given much needed economic stimulus to a region that suffered a blow with the failure of two regional banks that devoured billions in savings. Wine grower Adelino Pizzobon poured a bottle of prosecco during a wine tasting at the Case Paolin farm, in Volpago del Montello, Italy.